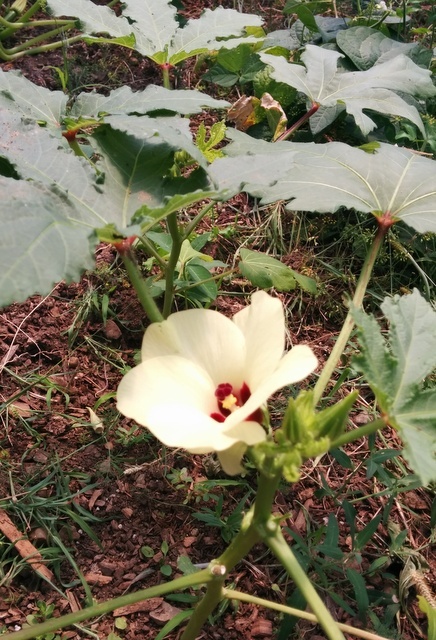 I received some okra seeds at Canada Blooms. 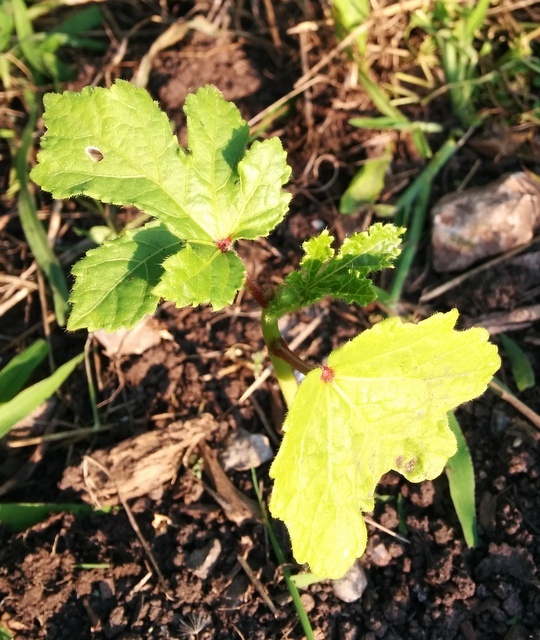 I planted all 12 and they all germinated, but only a few have shown progress. 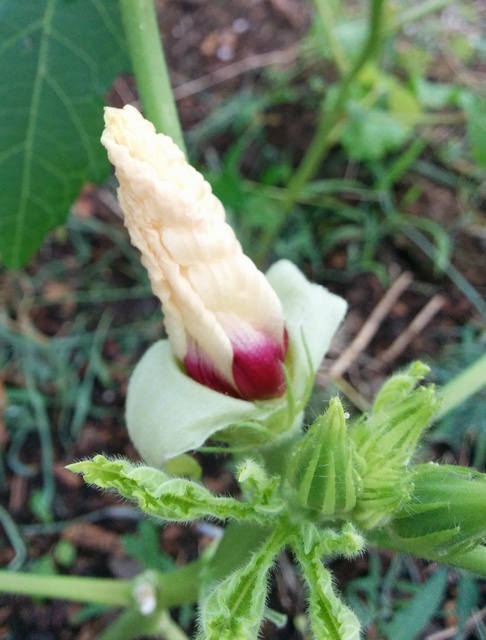 I'm just getting some blooms now so fingers crossed a few little okra will appear. I think the plants should be much bigger but it was such a cool and wet start to the season, not sure it was hot enough for them. 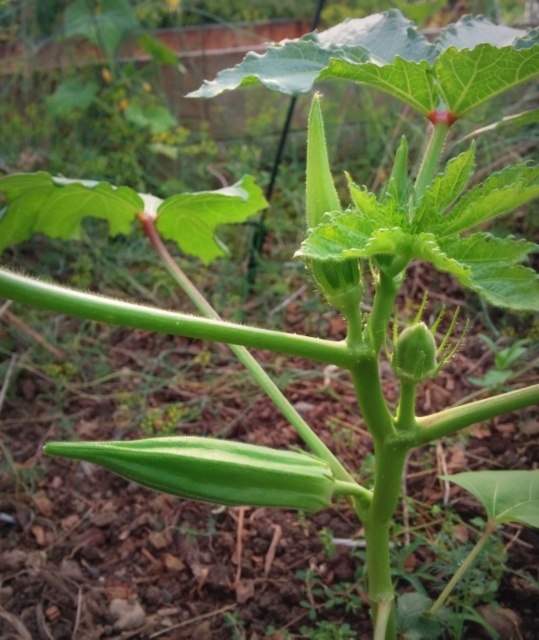 I have grown Okra for about 5 years now (Annie Oakley Okra) but they have never gotten bigger than 2 feet or so. I'm not sure if it is the variety, or just Ontario growing conditions. But I still get enough to enjoy. wow, crazy. 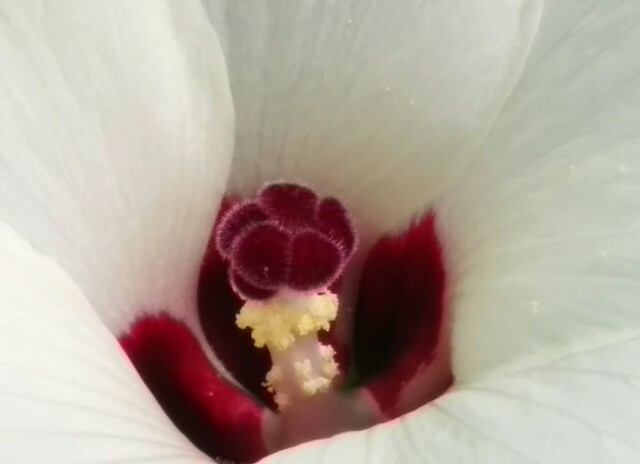 I didn't know it bloomed so ornamentally, or could be grown here.